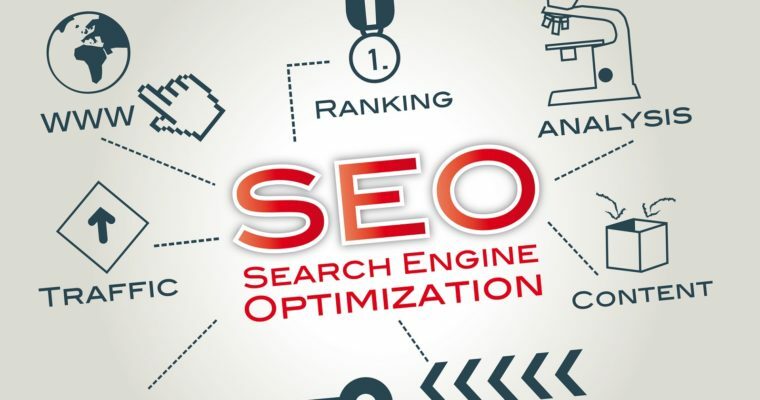 Search Engine Optimization (SEO) processes are defined by Wikipedia as a group of activities that improve the exposure and visibility of a website or web pages in the unpaid results of search engines. Despite SEO process definitions; there is always some amount of ambiguity in SEO techniques. The main question is–what are the elements of a website that are optimized for the SEO operations. All important aspects of a website are subject to optimization including design, writing, and links. Search engine optimization (SEO) is all about optimizing the online content of a site in the top unpaid search results based on keywords. Search engines have two major functions. One is crawling to build an index and second is offering search users a ranked list of websites based on relevance. 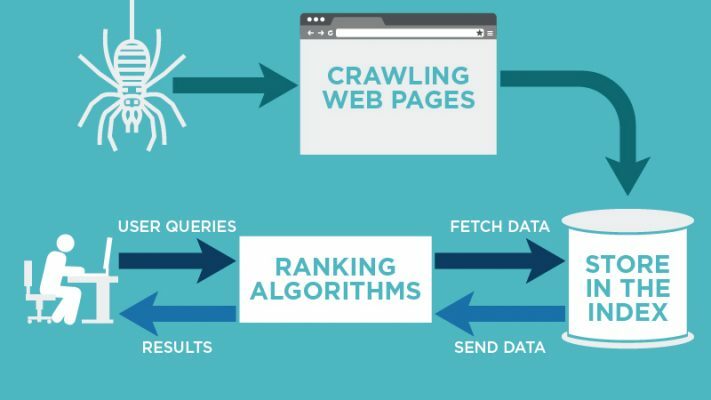 Search engines “crawl” content via links and index billions of documents, news, videos, files and media on the worldwide web. These will answer queries by retrieving pages on the basis of relevancy. Automated robots of search engines’ or crawlers or spiders keep bunching billions of interconnected documents on the web. Search engines extract the code from them and store pieces in their databases for later use. To access billions of pages in a fraction of a second, Google maintains massive data centres all across the world that store and process data in millions of machines. In the search results, results are ranked on the basis of popularity and relevance. Relevance is shaped by hundreds of factors. In determining popularity, search engines apply mathematical equations called algorithms that assess the relevance and rank them accordingly. Google crawls web addresses by reading sitemaps and links to grab the pages. What all sites are good for crawling is decided by computer programs including frequency and number of pages for different sites. In the digital marketing industry SEO has emerged as a saviour for small businesses who do not have big funds to spend on TV or Newspaper Ads. In SEO, the cheapest and effective online marketing method, there is the prospect of attracting good traffic and increasing business profit. Brand Awareness: Thanks to SEO, a business can make great visibility in major search engines. SEO helps business to be found on Google and other search engines. Sustained low-cost promotion through SEO helps in making businesses popular. Once brand equity is established it is easy to reach a wider audience to expand brand awareness. Effective SEO services are a shortcut to create brand awareness without spending too much. Businesses can take the support of SEO companies offering cost effective SEO solutions. Websites become User-Friendly: When SEO is performed on a website there will be a total makeover in terms of looks, links, and keywords. It will eventually make a website more appealing and user-friendly. This improves customer involvement and attains more authenticity. High Rankings in SERP: When right keywords, enough links, and unique content combine high rankings for the website will automatically come over and individuals searching products and services will connect to the website. Higher Conversion: A responsive website architecture backed by SEO can make a site viewable on mobiles, tablets, and other gadgets. This will make conversions faster and more paying customers are natural results of user-friendly websites. Despite the surge of SEM, there is no stopping of SEO as it is the long-term investment for growth with results staying for so many years. Most of the brand advertisers are supplementing their gains with the power of SEO. This is because organic SEO listings on Google search results are more reliable than paid Ads. The growth of digital marketing and SEO has spawned huge SEO career opportunities for tech professionals. SEO is both an art and science. It is a science because SEO deals with technology and technicalities like code, content architecture and user experience. The arty side of SEO is the ability in influencing the behaviour of business and customer and the skill in adding value to products, service or solution in hiking their visibility for bringing leads, sales or branding. Now let us narrow down to blackhat and white hat SEO techniques. As Google algorithm updates such as Panda, Penguin and Hummingbird tightened penalties on mala fide site boosting methods, white hat SEO or ethical SEO has become the only legitimate SEO model to improve site ranking in search results. White hat SEO techniques increase the attraction of websites toward search giants to find a slot in the SERPs. In simple terms, white hat and black hat SEO in 2018 title will reflect a bunch of techniques which commonly aim at a site’s optimized performance for higher ranks in the SERPs. Mala Fide tactics or black hat SEO mainly involves spamming and keyword stuffing. In White Hat SEO, a site’s better performance in search results is the main aim. 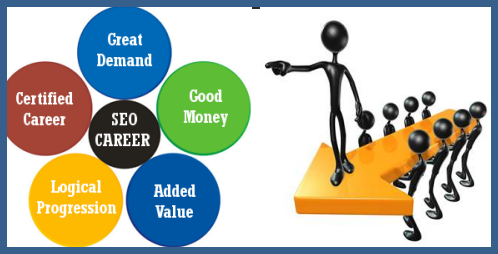 In White Hat SEO, many factors have to be taken into consideration. Brazen use of keywords in content that hurts the user experience must be avoided. Using similar words across a piece of writing will be giving better results. Use key phrases in titles, sub-heading and the text will lead to effective results. “Content is King” is the most heard cliché in relation to SEO and web content as a precondition for making content strong in attracting visitors who will eventually convert into customers. In fact, content has grown beyond that stage and has become more powerful. It is the new emperor and can dictate the fate of a website. The content must be appropriate and well written. If there are images and videos they should have titles, ALT tag, and descriptions. Due credit must be given to the original artist if images from creative commons licensed are used. Use social media in making a brand visible on all platforms by sharing the content. social media tools like Facebook likes and Retweets indicate content is useful can indicate reading and watching. Guest blogging is a White Hat technique and can draw good visitors. But care needs to be taken about the posting sites so they are of the same Domain Authority, otherwise, a rapid surge of high-quality links will elicit the suspicion of Google that links are being purchased. This will invite Google’s penalties. The soul of White hat SEO is good content that can drive traffic to a site. Blackhat SEO techniques stand in sharp contrast to White hat SEO. They use many manipulative methods in hiking the relevance of a web page by violating the guidelines of search engines. Some of the black hat techniques are the use of hidden text, cloaking, and blog comment spam. Blackhat SEO has a negative reputation thanks to shady practices that ignore user experience in the quest for quick money. In keeping businesses legitimate, businesses are advised against using black hat SEO techniques else they will be erased from search engines. Some of the abominable black hat SEO tactics are discussed below. Use of Unrelated Keywords: Never add irrelevant keywords to a copy just garnering a few extra hits. Eg: Martha would use our Dyson vacuum cleaners if she owned cats. The content must be focused on a topic so that users are getting the answers they are searching for. The unnecessary repeating of keywords in such a way that there is a gibberish effect in sentences or image alt text must be avoided. Eg: Picture frames picture frames pictures pictures pictures. Always write sentences that make sense with reasonable keyword density and semantically related words than endlessly repeating keywords. On legible text be placed at the bottom a page and never format text or images with visually undetectable links. Content that is written is meant to be read and should be in contrast to the text with the background, colour, and the links should be obvious. Never present search engines with one set of content and take site visitors to another piece of content. Fooling visitors with a page of totally different content is cheating and invite penalty. Eg: A visitor searches for octopus and clicks a search result and he is taken to a pornographic site. Web pages should be created in accordance with the expectations of the visitors based on the SERP description. Eg: A user is searching for “Hello Kitty” and he clicks the website of the franchise given in the SERP. 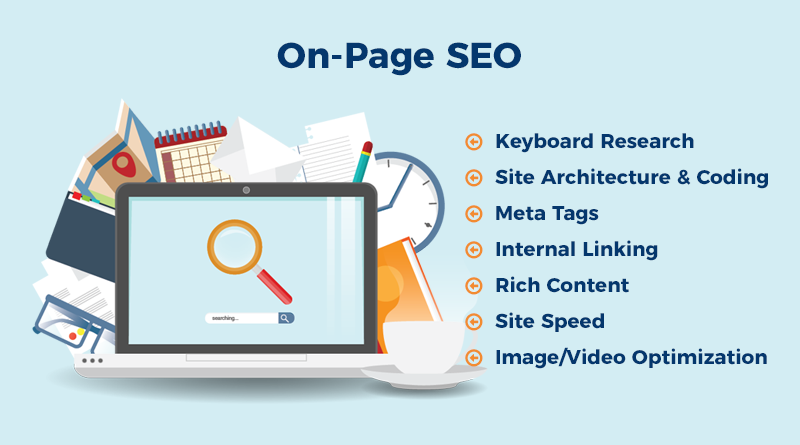 On-page SEO is optimizing individual web pages to get a higher ranking and will attract big traffic in search engines. In answering the query what is on page SEO and off page SEO 2018 title remember that on-page SEO implies content and HTML source code of a page is ready to be optimized, unlike off-page SEO that deals with links and external signals. The content of Page: Content of a page is the sole factor that makes it eligible for a position in the SERP. That calls for good content. From an SEO perspective, all good content will be high in two attributes. It can supply a demand for information and can be linked. One example of unlinkable content is AJAX-powered image slide shows that are not reproducible or sharable. It neither fills the demand for information nor allows to be linked and they are bad in the eyes of the search engines. Title Tags: Title tags matter a lot on-page factor for SEO after content. URL: URL is very important for convincing search engines on the relevancy of a given page for indexing. In SEO category hierarchy of a given website must reflect in URLs. 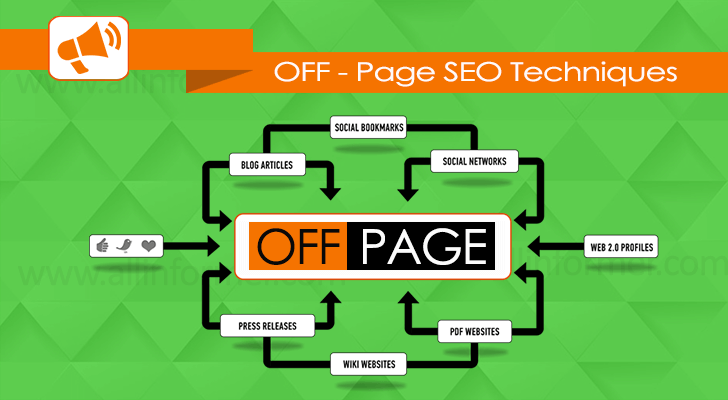 Off page SEO offers good indicators on how the World (other websites and users) look upon a particular website. If a website is high in quality and utility it will have references (links) from other websites and social media such as Facebook likes, tweets, Pins, will bookmark it and shared among communities of users. A successful off-site SEO strategy will bring about high rankings in the SERPs and more traffic. Higher Page rank means where a website takes it ranks on a scale of 0 to 10 indicating the importance Google attaches to that site. Mobile SEO audit will mean examining how far search engine optimization has been done for websites with a goal of allowing flawless viewing of the site on mobile devices including smartphones and tablets. After the boom of portable devices, webmasters are more attentive to mobile SEO plan. Now 50 percent or more of Internet users are surfing websites through mobile devices and Google has laid down a policy that explicitly favours mobile-friendly sites with a higher UX. Responsive Web Design: In responsive web design, the mobile site will have the same HTML code and content for a URL regardless of the user’s device. Responsive web design is popular and recommended by Google itself. It is easy for sharing content from a single URL. Google can easily index single URL for higher search engine rankings. Irrespective of the changes in search engine algorithms the goals of an SEO copywriter are unlikely to change. The mandate is permanent and about creating compelling content that people can read. SEO copywriting should have a natural flow. There are many practical copywriting tips that can increase search engine ranking without making a business appear overly mechanical. Write punch headline: The headline must attract visitors to read your content and help to kick start the topic’s tone. No Beating around Bush: The text should move straight into the list and hit the topic. Always include the keyword in the title as it is important for search engine rankings and guide readers to click through. Use numbers in titles, particularly odd numbers. Lists are loved by people as it additionally promises something specific and helps in easy scanning. Offer Good Readability: Subheadings guide readers through the content and expresses the content gist to the search engine instantly. Bullet–numbered lists and short paragraphs of 2-3 sentences will expand digestibility of the content and make people read the entire stuff. Use Power words and active voice: Use of power words are a great way to get others excited to influence readers and use active voice makes the content energetic, persuasive and to the point. Write better Meta descriptions: They are the first thing a reader sees underneath the title when a page pops up from results of a search engine like Google. Include external links: To make content valuable in the “eyes” of the search engine to link to external blogs and websites. That will further support the information and validate external sources while making the content crisp and factual. In the highly crowded online space, half of the tough competition can be beaten by being updated about top SEO trends and adapting them fast. The space on the first page of search results is gradually decreasing as Google is giving more space to advertisers. 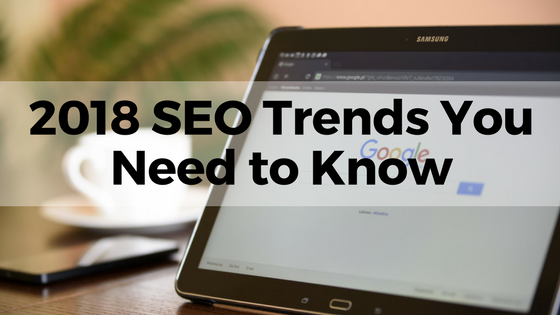 To overcome this trend, two options have to be exercised in SEO. 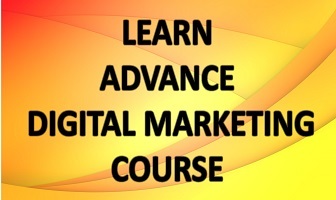 Just rework your keyword ranking strategy or incorporate pay-per-click in the overall digital marketing plan. Voice Search: Voice search facilitated by iPhones and Android smartphones will become 50 percent of all searches by 2020. The new SEO strategy must factor in preparations for handling voice search and pay careful attention to the keywords. Long form keywords will be of more use. That means new alternative to Google’s Keyword Planner must be developed. Content Supreme: Strong content that appeals to the audience is the right way to stand out from competitors. There must be comprehensive SEO optimization in all areas including headers, meta descriptions, title tags, and image titles. Along with strong content, the overall user experience of a website is crucial for SEO in 2018. Demands on user experience are up. Websites lagging in creativity must ask developers to enhance the user experience in desktop and mobile usage. Given that Google’s algorithm is more sensitive to link building techniques employed in SEO strategy reduce spammy content as Google will downgrade websites that twist and abuse keywords in content and copy. Do not overdo guest blogging to stray off limits with an eye on amassing links and never end up in black hat SEO methods. Search Engine Optimization (SEO) processes are defined by Wikipedia as a group of activities that improve exposure and visibility of a website or web pages in the unpaid results of search engines. Grrrr… well I’m not writing all that over again. Anyhow, just wanted to say fantasatic blog!